Gaming: Get Ready for My Time at Portia’s Console Release! Listen, folks, you know I love to share some feel good stuff. 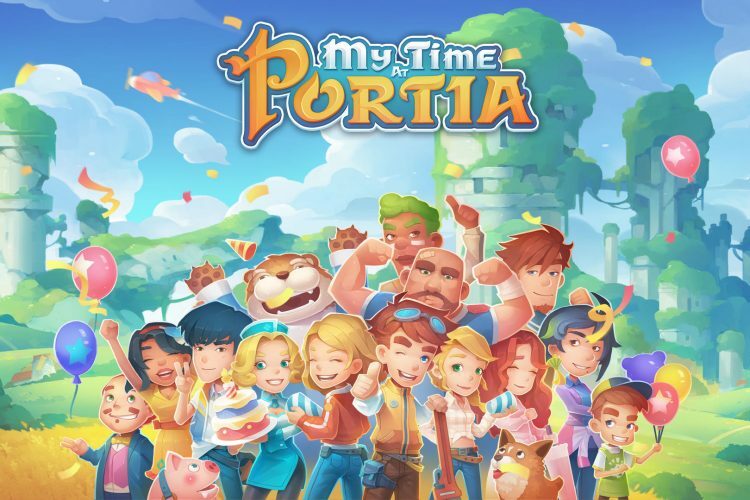 Pathea Games’ My Time at Portia is coming to console on the 16th of April and I HAVE to get you guys ready! Let’s dig into some stuff I’ve gleaned from the PC and prepare you for console down-home goodness! My Time at Portia has been going strong for well over a year in Steam’s Early Access program until it was left that and went to full launch in January. Now that that’s all out of the way, the game is getting a console release for April and I couldn’t be more excited for everyone to try it out. Now, I fully intend on giving a full hands-on touch-base kind of situation once the game fully comes to a system near you, but for now? Well, let’s just get you guys ready for what you can expect! Now, My Time at Portia is very akin to the Harvest Moon / Stardew Valley kind of games you may just have grown up loving but it gives it to you in spades. With a glorious story that is absolutely NOT what you’re used to and colorful artwork that are in a league of its own – you can’t grow bored here. Visually and gameplay wise, it’s like if you put Stardew on Steroids and then, as an added bonus, a compelling story about a post-apocalyptic land that is rebuilding after so many years. “But, Candice…” I can hear you already asking, “Do we get relationships?” and let me just help you along here. Not only do you get to have a relationship with the person of your available choosing, but you get to go on wicked fun dates and experience a world with them that was once just your little lonely plot of planet. The characters are engaging and the friendships and stories are not even remotely throwaway, which I expected. Once you witness your share of Harvest Moon style games, you tend to realize all of the story just bleeds into the same kind of thing. Grandpa left you a farm. Now, deal with it. Oh, you also only have a year or whatever. Not in My Time at Portia. Instead, you’re left with a Workshop in which you need to get your business thriving in order to not just succeed, but also help Portia thrive! The characters are so varied and incredible that you don’t feel put out by this kind of scenario either, which lends to fantastic writing and gorgeous character design. When I mention that Workshop? It takes a lot of crafting. My Time at Portia isn’t giving you easy-peasy lemon squares to bake or a chicken to look after — but the heft of competing with other Workshops and crafters to expand Portia into a big, beautiful city that you and everyone else can be proud of. Here’s a sampling of the crafting goodness! Yes, I’m still working on crafting my way to success but what is so rad about Portia is that every tiny thing you make feels like it’s your own! You work so hard to make these little things that you take great pride in handing them over or installing them once complete. Ah, craftsmanship. I intend on bringing you some of my wacky experiences when My Time at Portia drops on April 16th for PlayStation 4, Xbox One and Nintendo Switch. Until then, watch these videos and get that pre-order going strong because if you’ve been jonesing for a new lifestyle simulator! This is the one that will keep you happy for ages to come. Next article Looter Love: Power Rangers Loot Tee! Previous article Tuesday Trivia: How Well Do You Know The Karate Kid? !